Dreaming of a garden wedding? 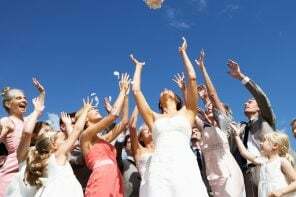 While the great outdoors can make an amazing scenic backdrop for your wedding ceremony or reception, if your wedding venue requires a tent (or if you need one for a weather backup plan) your wedding tent costs can add up quickly. 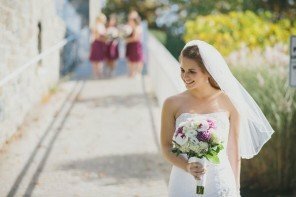 Those added dollars can put your dream wedding venue over budget if you don’t plan accordingly. So, just how much do wedding tents cost? 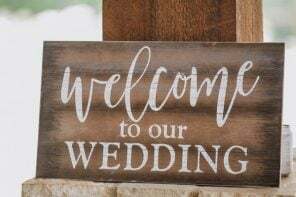 I’ve included some general prices below to help get you started as well as questions you should plan on asking a prospective wedding tent company (as well as your wedding venue). 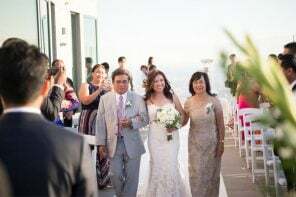 There are also easy ways to save A LOT of money when it comes to wedding tent cost, so read on! Pole tents: These tents typically go on grass since they have to be staked. They have at least one center pole but can often have several (which many couples decorate with fabric, flowers/vines, or other materials). Frame tents: A frame tent is more versatile since it can go on multiple surfaces (including grass, asphalt, concrete or a deck). Since there are no poles inside the tent, it will give you more square footage inside since you don’t have to plan your seating around the poles. Also keep in mind that Sperry Tents—a pole-style tent made of sail-cloth fabric vs. a traditional vinyl—are pretty much in a category of their own. While you might prefer one type of tent over another, you will have to go with the wedding tent type that works best for your space. 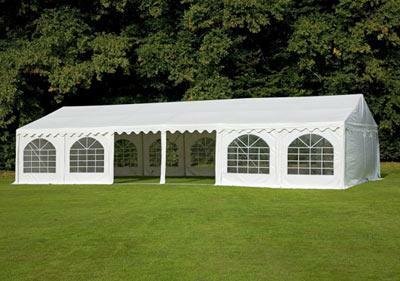 For example, tent frames are best for narrow spaces, whereas pole tents work best for spaces that are at least 30” wide. 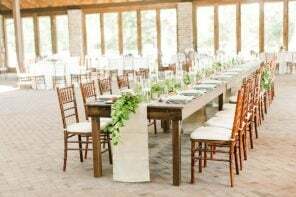 There are a ton of formulas out there to help you determine what size tent you’ll need, taking into account what types of tables you’ll have (square or round), and whether or not you’ll have a dance floor among other considerations. However, I wouldn’t get too wrapped up in that considering you’ll most likely get all of that information from the tent company during your first meeting/call. Is labor included in the tent rental cost? If not, what is your estimated labor cost? How long is the tent rental period? Does the tent require a permit or is it included in the cost? 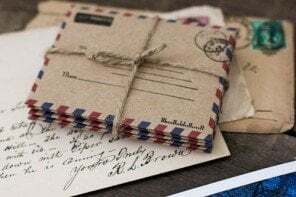 How are last-minute orders handled? What are your delivery/pickup fees? Are sidewalls/flooring/lights or other components included? Am I required to have a wedding tent for the ceremony and/or reception? If not, what is the venue’s weather backup plan? What is the cost for additional rental hours if needed? Is there a power source for a tent or do I need a generator? What are the measurements of the space we would be tenting? Am I required to use a specific tent rental company? 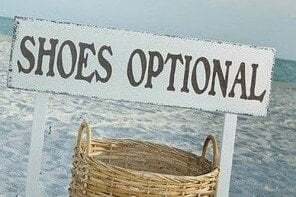 If not, which ones can you recommend? 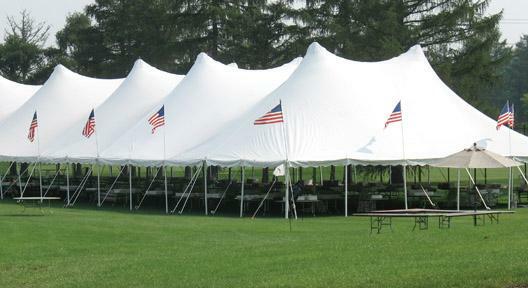 Basic tent structure cost: $500 for your smallest tent (like the one you might use for your caterers) up to $5,000+ depending on size, type, etc. Side walls: These are charged by linear square foot, which can range from $1-4. You can expect to pay around $400+ for a 40’X60′ tent. Tent liners: According to Pacific Party Canopies, a general estimate for liners in a 40’X60’ tent is around $1,080. *NOTE: Keep in mind that as is the case for most wedding vendors, pricing tends to be regional (meaning what you’ll pay in New York City is way different than what you’ll pay in Detroit). 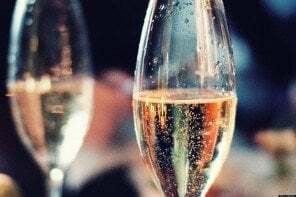 If you’re picking a venue because it’s less expensive than other ones you’ve seen but it needs a tent, you’ll want to factor that price into your venue budget. Depending on the cost you could potentially go with another venue that is more expensive but won’t need a tent. 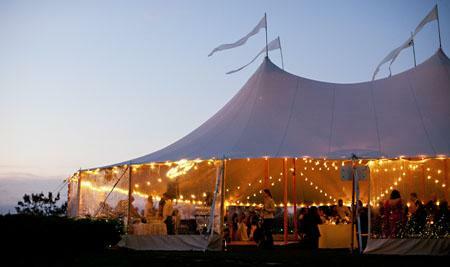 Ask the wedding venue or caterer who they recommend for wedding tent rentals. 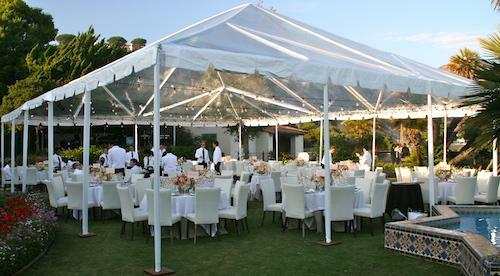 It’s much better to go with a tent rental company who has worked with the space before and knows the lay of the land. If your entire wedding reception is outside and caterers have to set up a kitchen, you’ll have to factor in the cost of a catering tent as well (listed above). Skip the liner. While these look gorgeous, they can cost you as much as the price of the tent in many cases. Instead, go with a pole tent if you’re looking for that drapey look. Fabric walls will cost you more. Go with solid, clear, or windowed walls to keep the price on average. Don’t get flooring for your entire tent. 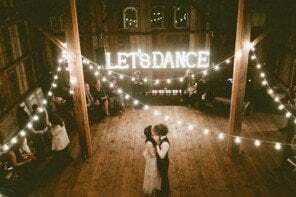 Instead, opt to have just a dance floor. While heaters are a must in cold months (and are inexpensive), air conditioners will cost you a fortune (and tent companies rarely suggest you get one). Instead, opt for fans to cool the tent down if necessary. 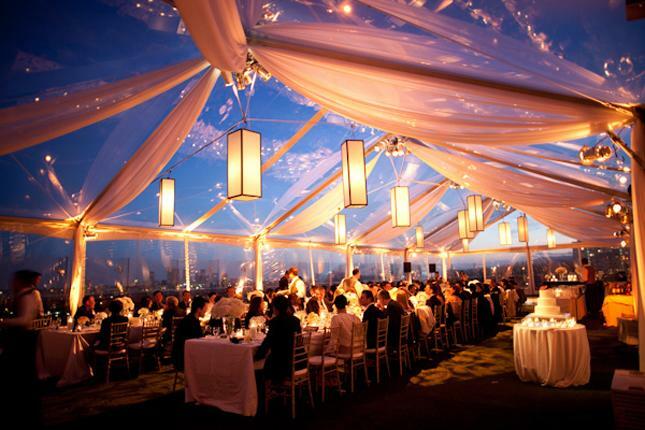 Frame tents can be more expensive due to the intricate ceiling and the fact that you’ll most likely have to line them (unless they’re clear). To save money, opt for a pole tent instead. 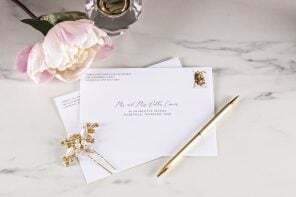 Looking for more detailed wedding cost information? 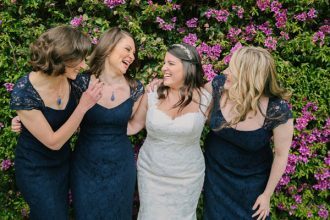 Check out how much wedding flowers cost and how much wedding photographers cost. Hello! I wanted to share a tent calculator that we built that will not only show you the size you need, but also the exact prices from local rental companies. If you would, check it out and let me know what you think? THIS IS SO HELPFUL. I figured most of this out when I was renting mine, but it definitely was not all available in the same place.I got quotes from three companies and One company offered to come out and do a free assessment that week – they were actually the most expensive by a little bit, but given that whether we could have the wedding at my dad’s place was dependent on whether we could tent that area, it was worth the peace of mind. Love this article, so much great information! If you ever do another post on tents you should definitely include the new tipi style event tents that are starting to become super popular in bohemian weddings! 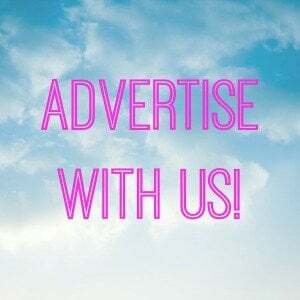 They are all over in the UK and Australia and there are now 4 companies providing them in the US in South Carolina, Colorado, Texas and Alabama. 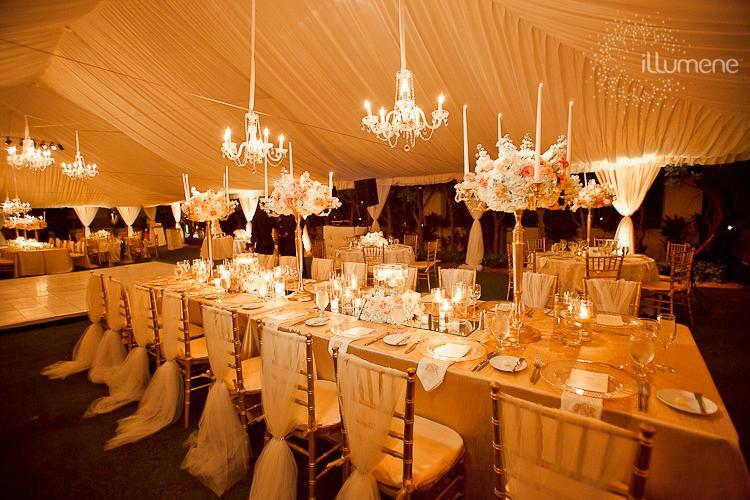 Thank you for sharing all the different considerations to keep in mind when renting a tent for your wedding. 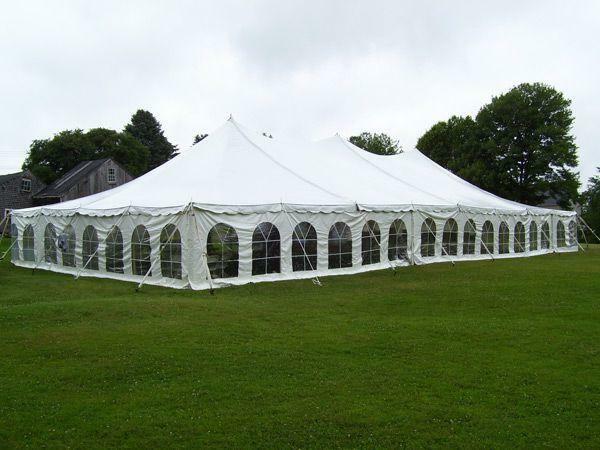 Specifically, you talk about how in addition to the tent structure cost it’s important to keep in mind flooring, lighting, and heating costs. 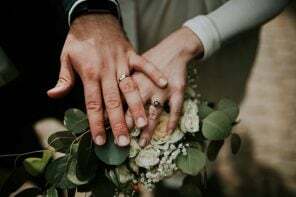 I never would have thought of these different considerations, but I can see how they can have an important impact on your wedding’s budget. Thank you for sharing! i was wanting to know how much it would be for a big white wedding tent for a country/indian wedding? im on a budget.. i need it big enough for our disc jockey and seating. i have about 100 people.